A South Loop coffee shop blurs the line between making money and making change. Some creative capitalism is percolating in the South Loop: a coffee shop with a social conscience. The ’hood’s month-old java joint, Overflow, is taking advantage of a relatively new business model in Illinois, the L3C or low-profit limited-liability company. It’s a hybrid structure—a for-profit venture with the socially beneficial purpose of a nonprofit. In January 2010, Illinois became one of only eight states that sanction L3Cs. The L3C was the next best option. Once Overflow is making a profit—the Neelys project they’ll be in the black by January next year—97 percent of that money will be invested back into arts and social-justice projects in their South Loop neighborhood. They’re in talks with organizations including the Greater South Loop Association, the Pacific Garden Mission and the Near South Planning Board about how their funds will be dispersed in the community. 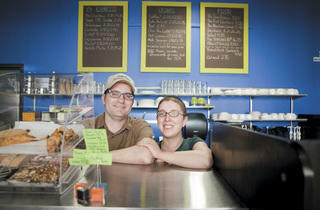 For the Neelys, the start-up is a big entrepreneurial leap of faith. Last year, they both quit their jobs to focus on opening the shop. Brandon was a data analyst with ShopperTrak, a retail info company, and Amanda an American Heart Association grant writer. 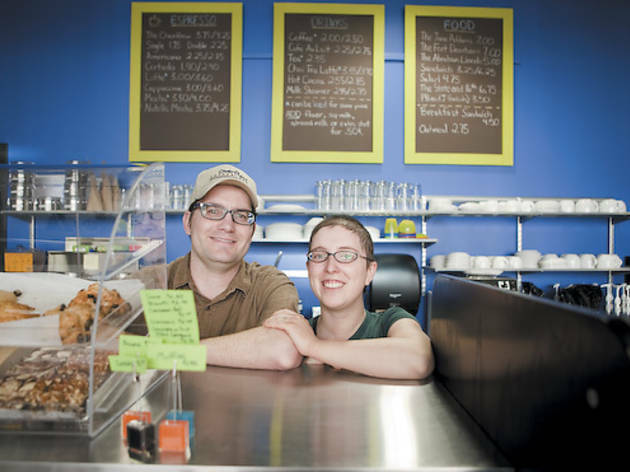 But the idea of living off only three percent of their profits doesn’t scare the couple, who are currently paying themselves just minimum wage ($8.25 per hour) as the café’s only employees. Besides being able to apply for “program-related investments” (funding from foundations), a big advantage of being an L3C, the Neelys say, is their customers know the business is legally obligated to be charitable. That was the kicker for regular Lauren Brown, a first-grade teacher at the private Christian Daystar School in the same building as Overflow. On Monday 25, Overflow (1550 S State St, 312-772-2356) hosts an L3C business networking event from 6:30–8pm.